The world of business is one which is rapidly changing. In today’s digital age, it’s important for businesses to cater to their consumers in a way which makes sure that they are satisfied with the service that they receive. However, satisfied customers are usually the product of satisfied employees. If your employees are dissatisfied and disengaged with their jobs, your business is less likely to experience success and the dissatisfaction is likely to rub off on your customers. Employee attitudes typically reflect the morale of the company, and making sure that your employees are satisfied and engaged is a key factor when it comes to the success of a business. Conducting workplace surveys is an excellent way to boost employee satisfaction and morale. By conducting anonymous surveys, you give your employees a chance to voice their true and honest opinions about their jobs, giving you the opportunity to work out any factors which cause employee dissatisfaction and address them. For example, if by conducting surveys you discover that employees are not satisfied with the opportunities for development and progression within the company, you can work to implement a better training and development program in order to improve this. Surveys are an excellent way to find out what it is that employees really want from their jobs in order to deliver it to them. Most people think that employee satisfaction levels are directly related to monetary compensation, however there are lots of non-financial factors which can also contribute. Commuting to work is just one of the factors which can cause employees to be stressed out and dissatisfied, and a long and stressful commute to work in the morning can be a bad start for the day. Help your employees out by easing commuting stress – stagger shifts to miss morning traffic, organize a carpool, or allow employees to work from home when possible to boost satisfaction levels. Employees who feel like they are stuck in a rut with little to no chance of progressing in their jobs are a lot less likely to be satisfied than those who feel that they have a real chance of progression. Implement a training and development program into your company that gives employees the chance to improve their existing skills, learn new skills, and even work towards promotions or different positions within the company. Employees who are healthy are often a lot more engaged and satisfied at work as well as in their personal lives. Good health has an effect on mental well-being, which can help your employees to think clearer and be more motivated towards completing tasks and working to the best of their ability. Encourage healthy eating and exercise by offering discounted gym memberships and serving healthy food in the workplace canteen. 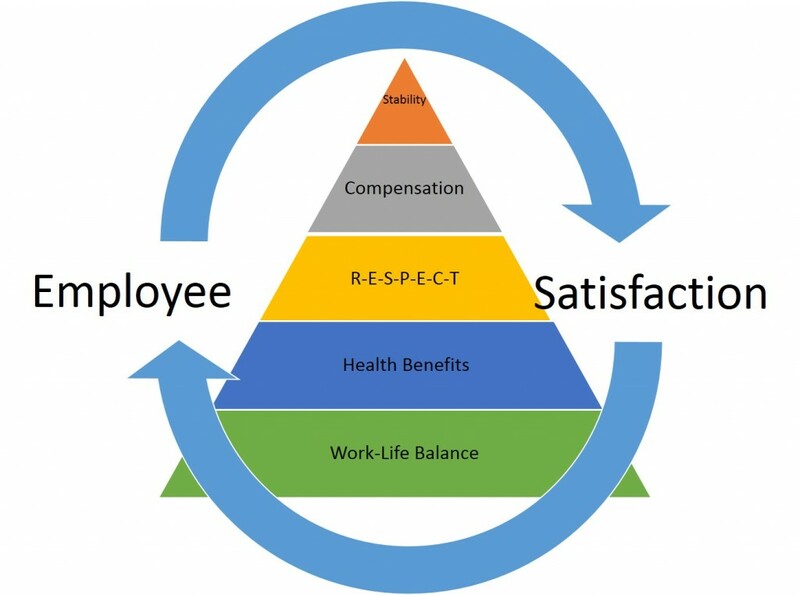 Keeping your employees satisfied in important to the growth, success and reputation of your company. If you’d like to find out first-hand how satisfied your employees actually are, see insightlink.com for survey ideas. Why Survey Your Customers? Benefits of a Business Survey.